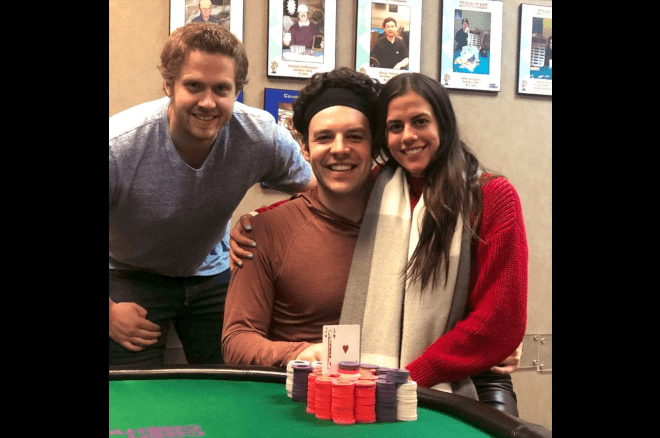 By pretty much any measure, Big Brother Canada winner and Twitch poker star Kevin Martin had a storybook 2018 on the live poker felt. Martin kicked off his 2018 by winning the Main Event at Cash Casino in Calgary in early July, then went on a tear winning two more Main Events in Calgary before the summer was over. He went on to cap that off with another big win at Run It Up Reno in October, followed by another small win in Calgary in November. At the end of the summer of 2018, Martin tweeted about the details of his $116,980 wins from $14,495 in buy-ins. After parting ways with PokerStars Team Online earlier this year, the poker future for Martin might have looked uncertain, but he has put some certainty into his future with this latest win. The $45,000 win came in the same poker room where his unbelievable run began, Cash Casino in Calgary. The Great Canadian Freezeout ran from February 18th to March 3rd with the $800 Main Event as the marquee event. It drew 244 total entries over two day ones, and while Martin only fired a single bullet at this one, he didn't have a smooth run to the title after having to come back from 6 big blinds with 14 players left. That small stack didn't last long however, as Martin tweeted he had 25% of the chips in play with 13 left. This latest title, worth $45,000, brings Martin's live winnings to more than $300,000. Perhaps more importantly, it continues the stellar run Martin began in mid-2018. It's clear that he hasn't lost a step, and it looks like the "Year of Kevin" will continue well into 2019.